How Far is Today Shree Smaran? 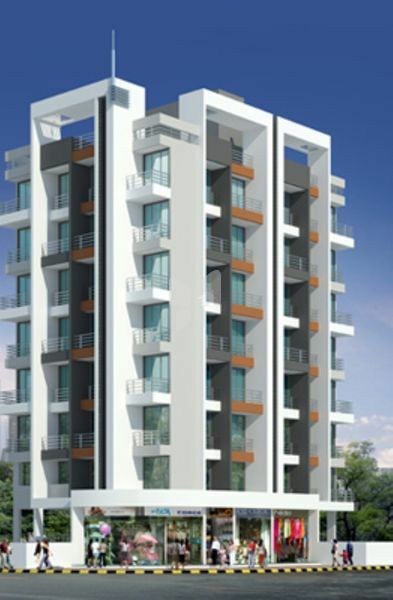 Today Shree Smaran is one of the residential developments of Today Group, located in Mumbai. It offers spacious and skilfully designed 1BHK and 2BHK apartments and commercial space. The project is well equipped with all the basic amenities to facilitate the needs of the residents. External wall to be 6" thick brick work with 2 coats of sand face plaster. Internal partition walls to be 4" brick work with Neru finish plaster on each side. Branded 2'x2' vitrified flooring in all rooms. Anti skid flooring in bathroom, W.C. & terraces. The main door will be flush door with decorative laminate sheet fitting having door bell, door eye, beautiful brass handle, safety chain & night latch. Bedroom will have flush doors with oil paint finishing. Black granite kitchen platform with S. S. sink and Dado tiles up to 7' ft height. Black granite sill in all windows. Power backup for lift & common lights. All electric points of concealed copper wiring with modular switches. Ample light points in parking area. Concealed plumbing work with branded bathroom fittings. Provision for drinking water tap & regular water tap in kitchen. Acrylic paint for the external face of the building. Plastic emulsion paint for the internal face of of the apartments. Glazed tiles in bath & W.C. upto 7' height with modern concepts. Paving blocks / checkered tile with adequate lighting. Marble steps with ceramic flooring for the landings. Provision of separate overhead & under ground drinking water tank with adequate capacity with auto controller.